Posted September 20, 2018 by Carissa Barrett. 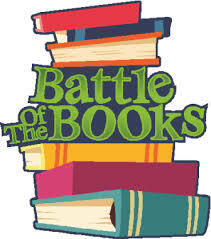 Wondering what Battle of the Books is all about? Head over to the Grade School library to learn more and get excited about this awesome competition. Posted September 18, 2018 by Carissa Barrett. Posted August 11, 2018 by Carissa Barrett. Looking for grade category book lists? We’ve got them here!